Another theoretical collaboration with a great experimentalist group. On the finding of critical current as a function of magnetic field in a semiconductor nanowire with two superconducting metal contacts; unexpected results based on standard models of Josephson junctions. Also our recent paper published in New J. Phys. 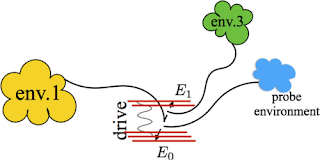 : Toward tripartite hybrid entanglement in quantum dot molecules by M Khoshnegar, A Jafari-Salim, M H Ansari, and A H Majedi, became available on arxiv:1406.6933 .